n absolute gastronomical pleasure...the dining experience at Narayani Heights promises this and much more! Our executive rooms provide that added style and comforts.A perfect solutions for group of Friends or a family members. 20 rooms for the business executive to unwind after a busy day. The cozy atmosphere and cool comfort help in rejuvenating his mind and soul. 36 well-appointed rooms Executive Rooms, Deluxe Room, Executive Suite Room, Luxury suite Room. The A/C room includes individual beds with side table, a single wardrobe unit, a common study table, LED T.V with cable, an attached bathroom with accessories like clothes line etc…, The rent includes a set of pillow, pillow cover and Matress. - BOOKING Of Hotels With Very Reasonable Rates. - Accomodation in All Mega Cities. The interiors in their simplicity, elegance and attention to detail, showcase all that is finest in modern and traditional Indian craftsmanship. - Multi channel cable network. 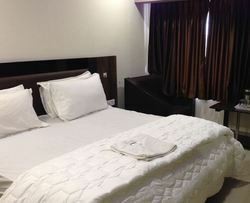 Hotel stay-inn provide you the deluxe room and super deluxe room for comfort.It has a single bed and a double bed. 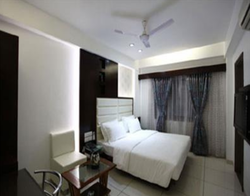 It has air conditioned, luxurious rooms and suites all exquistely decorated, furnished and ventilated. Each one of them has a decore of its own kind which boasts of luxurious comforts and style, where you are assured of all facilities. The Executive Suite, with its contemporary yet classy decor and modern utilities is the perfect place to stay for the discerning world traveler. Combining the best of luxury and service standards, these rooms feature one King Size Bed or Twin Beds. It offer the unparalleled splendor and comforts that elevate the stay experience to the highest level of hospitality.